I don’t know about you but in the world of office furniture design things have been pretty masculine, a little ho-hum and let’s face it, just a tad boring. 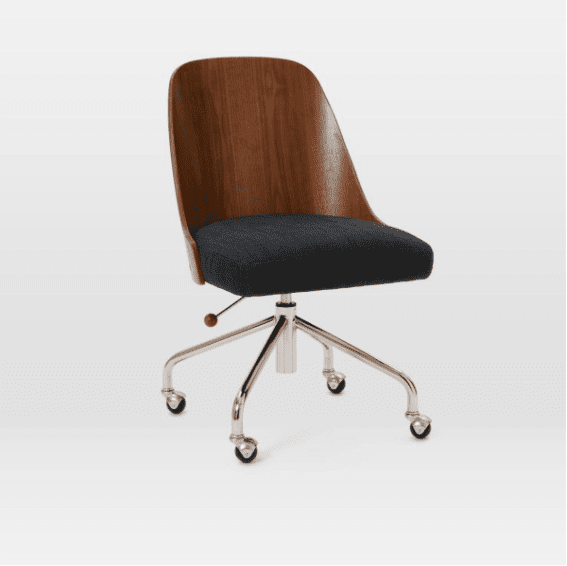 Found some beautiful and stylish office chairs that are bringing us women a little closer to what we’ve been searching for when it comes to our home workspace. 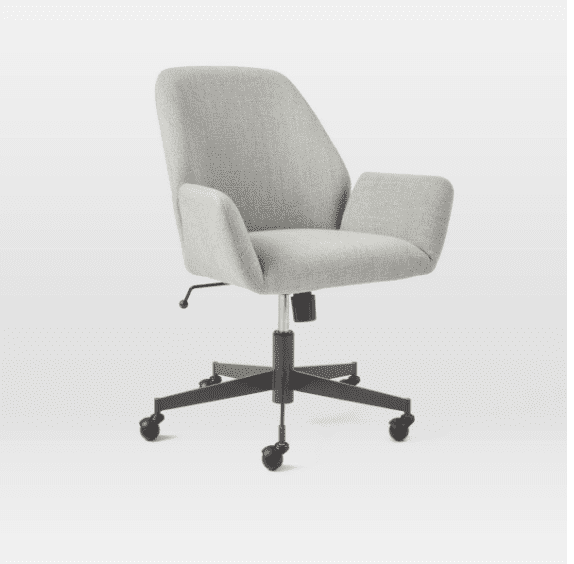 The best is yet to come when it comes to furniture for women’s workspaces, but West Elm are offering office chairs that are a big step in the right direction for sure. Here are my faves. First up we have this mid-century swivel office chair which is great because yes….you guessed it…it swivels. That means that if you get bored working on your latest project, that you can swing around all you like and channel your inner-child. If you get dizzy then all the better and go for it I say! I like the clean lines and the fabric because it’s stylish yet versatile when it comes to matching with many styles of decor. Timber is always a classic material so you can’t go too wrong with this selection. Hey, I’m excited! We now have access to office chairs in a colour other than black and grey. I really love this Uluna Upholstered Chair in Teal. 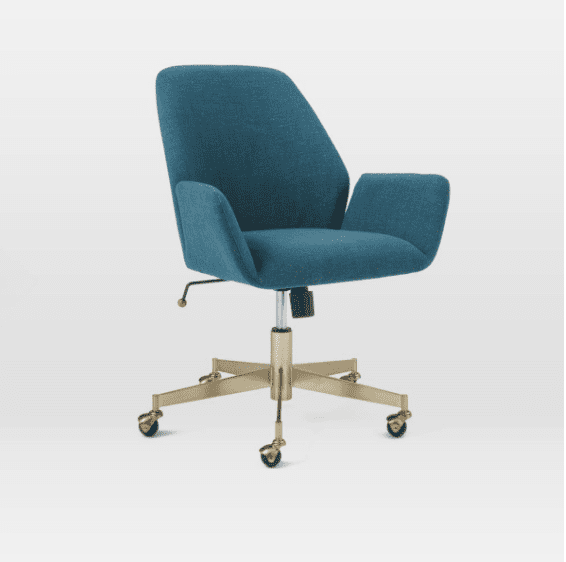 It’s one of my favourite colours and I know for many of you you will be doing a happy dance and praising the Lord that someone is creating a more feminine style of office chair and using an interesting colour such as this teal. I love also the brass base and roller wheels. Super practical and yet beautiful and no hard, ugly plastic in sight. 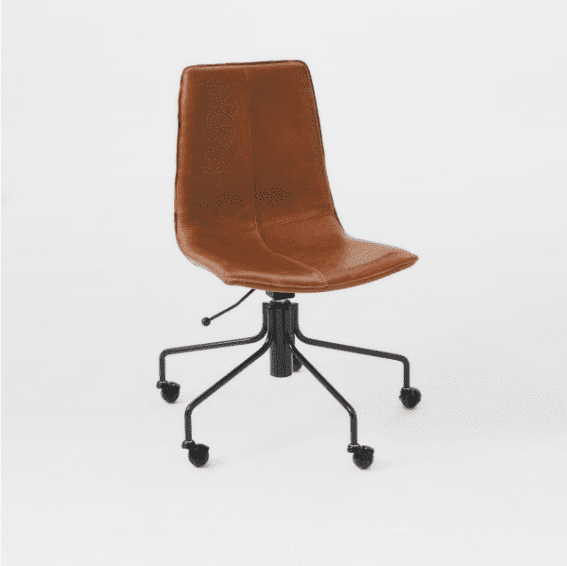 Okay, if you live in The States or maybe Europe you may have had access to a variety of office chairs in various colours and with some sense of style, but here in Australia, it’s been an office chair desert for many a decade. Yey for the progress designers and companies such as West Elm are making. My dream is to one day design a whole range for of office furniture and accessories for women and it’s certainly on my bucket list. 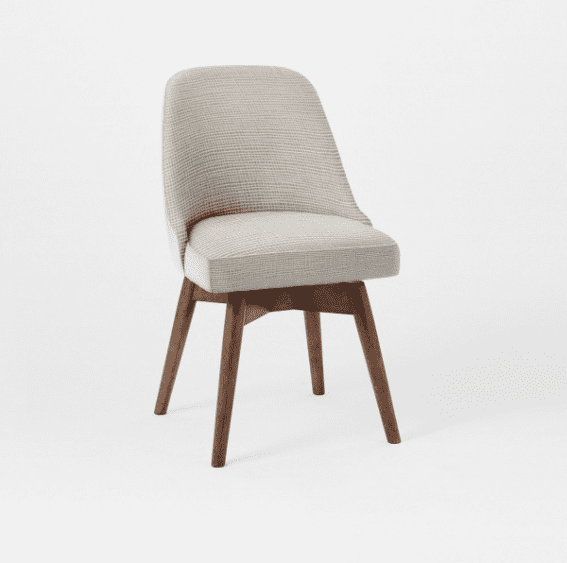 This West Elm Bentwood chair is contemporary and would suit a modern style perfectly. It’s available in a walnut or a white finish with an upholstered yarn dyed woven fabric in indigo. This ticks a lot of boxes because of the lovely base with wheels, the height adjustment and the comfort factor. Whoever thought someone could get excited so about chairs? 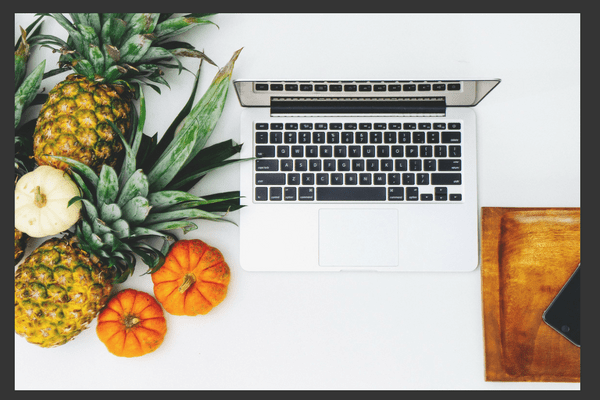 Things are definitely looking up thanks to companies that are trying to think with a little more style and creativity. You can find all of these at West Elm at the time of writing this. Honourable Mentions to These Beauties! 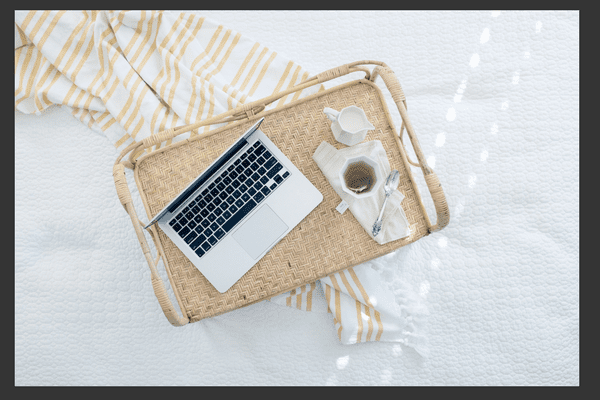 I’ve created a simple checklist for you should you want to go shopping for your workspace. 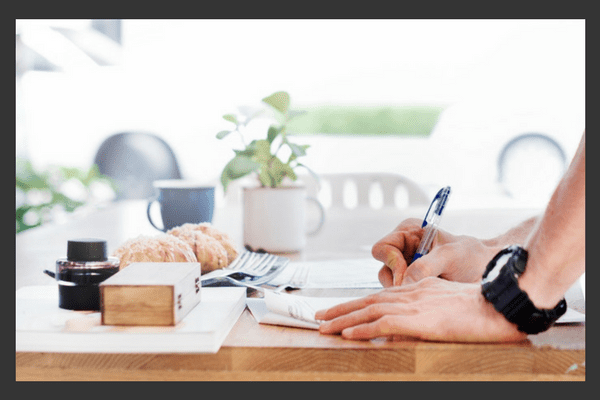 I want to make it easy for you to track what you need and a plan for what to purchase. Click to access. Let me know your thoughts below and leave a comment. 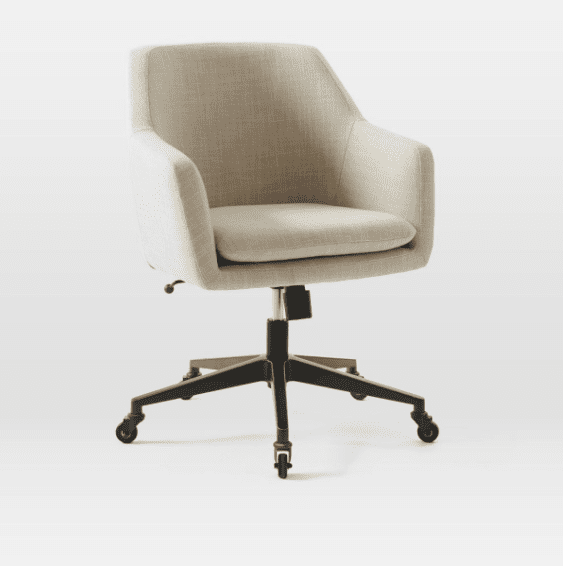 Have you found it hard to find a comfortable and stylish office chair?